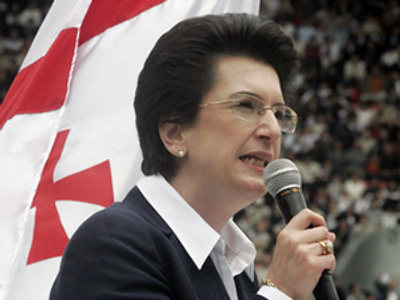 Opposition leader and former Parliament Speaker Nino Burdzhanadze said the authorities have launched ‘punitive action’ against her party. Several party members have been detained. Among the detained activists of the ‘Democratic Movement – United Georgia’ party is the head of a regional office in the Ajaria region, Zurab Aviliani. The Georgian ombudsman said nine party members have been taken by the police. They were all accused of the illegal possession of weapons. The former speaker said the Georgian leadership is trying to discredit the party. “I would not be surprised if they find drugs, nuclear or chemical weapons in my home”, she said, reported Novosti-Gruzia news agency. Georgian police have rejected allegations of unlawful detention, and claim they have video evidence to justify their action. Burdzhanadze has called for experts to confirm the authenticity of the material. 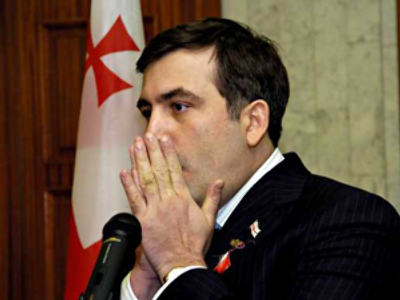 “Internal affairs minister Vano Merabishvili warned me through a third person, that the president requested my detention and that he – the minister – cannot resist the president’s opinion. That’s why he asked me to leave Georgia for a month ”on my own wishes“. I want to make it clear that I am not going anywhere”, said Badri Bitsadze. Nino Burdzhanadze said it wouldn’t be wise for the government to arrest her husband or any other party members as she “won’t be silent and will carry on criticising Mikhail Saakishvili”. Two opposition activists from the People's Movement for the Salvation of Georgia were also arrested on Monday March 23, said their lawyer Zaza Vashakmadze. “Police suspect Malkhaz Gvelukashvili and Lashi Chkhenkeli of masterminding an anti-government plot… I haven’t seen the documents to the case but it is said to be based on information gathered from bugging telephone calls”, said the lawyer. The opposition says the authorities are trying to disrupt their work to weaken a mass protest scheduled to start on April 9. “Every citizen has a right to express his protest in a peaceful manner but the opposition also must be responsible and secure peaceful action – managing a meeting is not that easy”, said the speaker. “Rumors about the government, gearing up its supporters for April, 9 are not true. We will not take any steps to provoke a stand-off between the opposition and its followers”, said the official. Meanwhile opposition leaders say there is no point in talking to a government, that doesn’t fulfill the promises it gives. The Opposition says, there is only one topic that can be discussed – deciding on a peaceful method for president Mikhail Saakashvili to leave the office. The rally planned on April, 9 is expected to see up to 150,000 people take to the streets of Tbilisi. 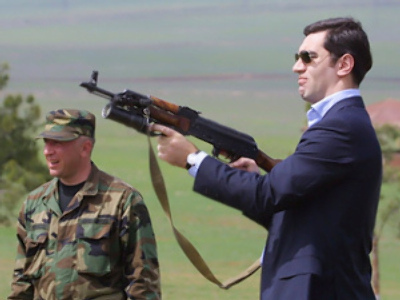 The Georgian head-of-state is firm that he will hold on to office for the whole of the current term until 2013.